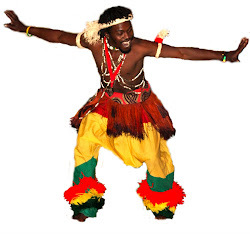 Is choreographer, dancer and drummer of Congolese traditional dance as well as contemporary dance. Born and raised in Republic of Congo (Brazzaville) Kayos is an artist who been initiated and ritually trained in the art of Congolese dance and music. His training spans over 2 decades though. 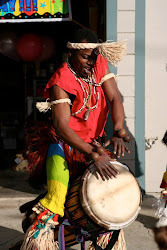 He took part in various folkloric dance groups and percussion groups and realized a few pieces. Then, he was engaged in a contemporary group where he developed a new dimension of his art. These seasoned artist-musician and his talents, in traditional and contemporary forms of Congolese-African music and dance, have accorded him opportunities to travel the world and earned him numerous honors and accolades for his excellence and artistic mastery.